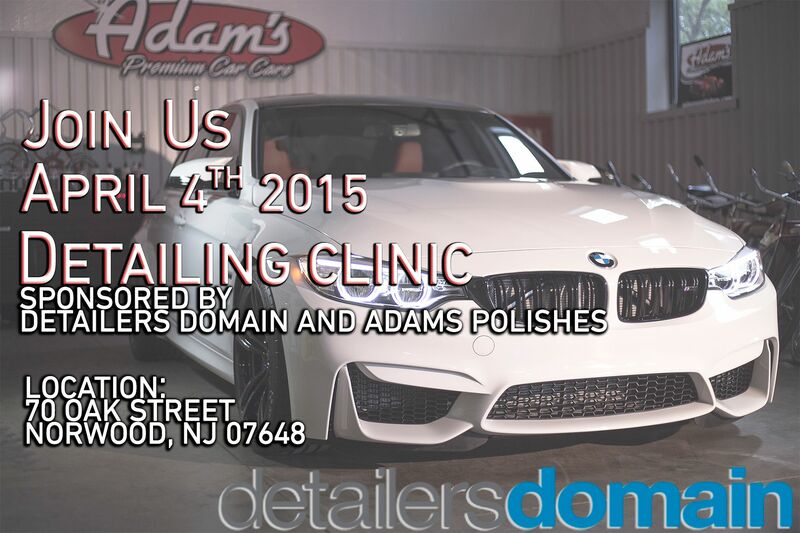 Detailer's Domain invites you to join us – and Adam and Team for a big spring Detail Clinic on 4,4, 2015 from 10AM-1PM. The clinic will be at our new location. Meet the Adam's Team - Adam, Ashley, Dylan, and Matt! You'll learn the proper way to correct swirls and paint imperfections, maximize shine and make your car, truck or bike look its very best. We will provide food and beverages - sign up here so we have an idea of how much we need to have at the event. or if you do not have Facebook you can email me for the invite. We are asking for sign ups so we can make sure we have enough food for everyone.